ESO Supernova Exhibition — What lurks at the centre of the Milky Way? 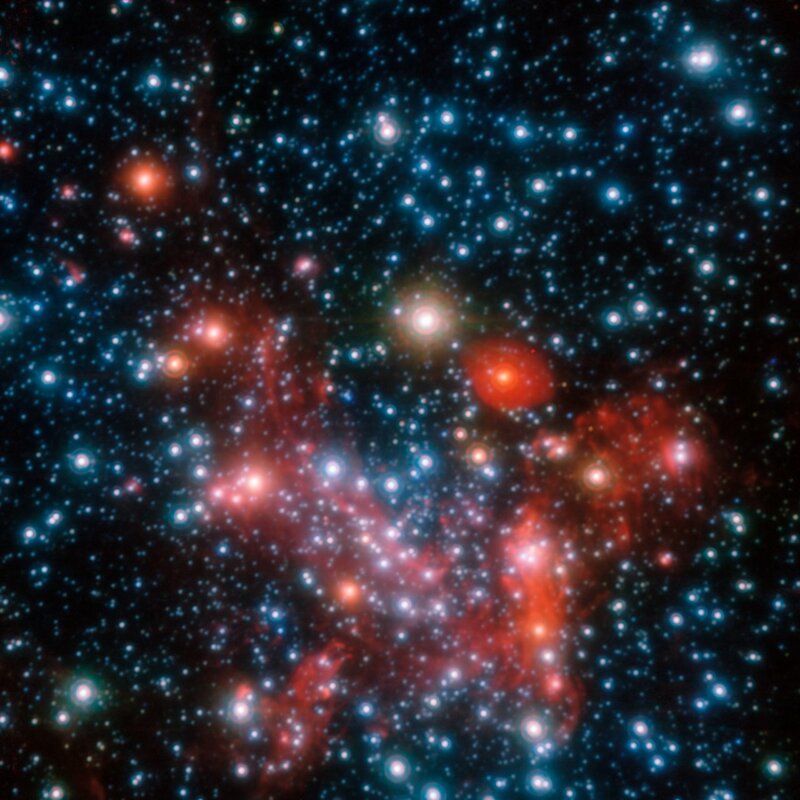 What lurks at the centre of the Milky Way? Like most other galaxies, our Milky Way harbours a supermassive black hole in its core. It is around 4 million times as massive as the Sun. Hidden giant: By following the motions of the stars surrounding the centre of our Milky Way over more than 16 years, astronomers were able to determine the mass of the supermassive black hole that lurks there. Credit: ESO/S. Gillessen et al. 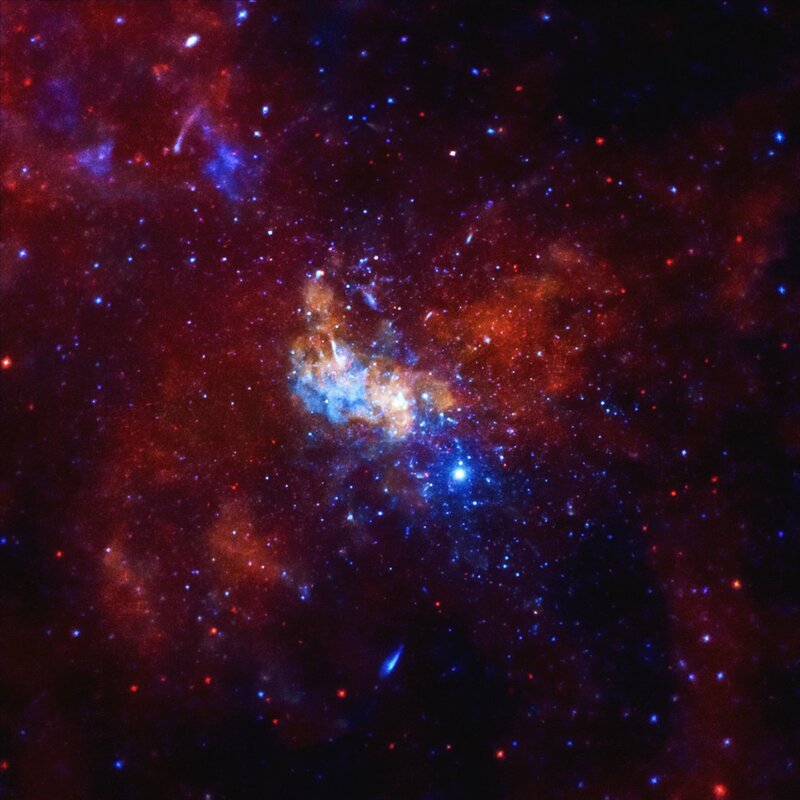 Core vision: Sagittarius A* — the small white region in this Chandra X-ray image — marks the Milky Way’s supermassive black hole. Blue and orange plumes surrounding it may be the result of earlier outbursts. Credit: NASA/CXC/Univ. of Wisconsin/Y.Bai et al. 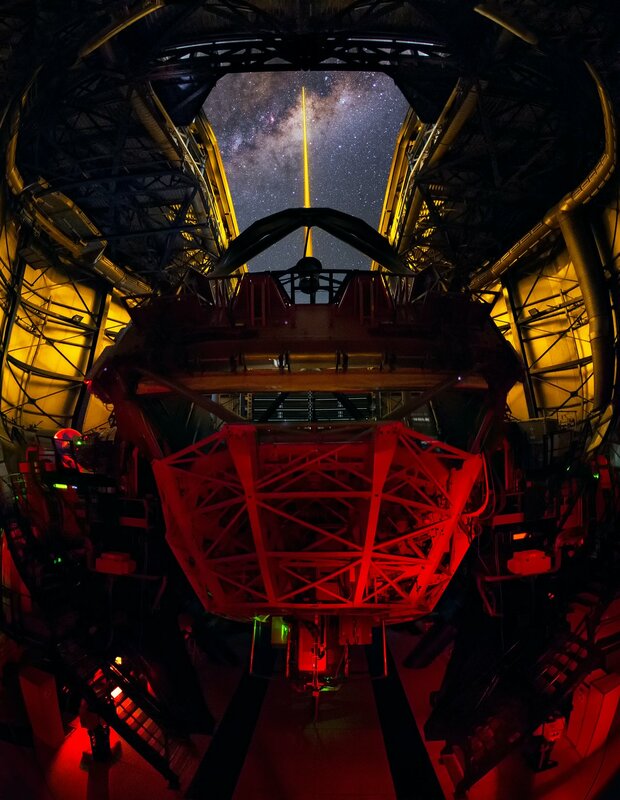 Aiming at the centre: Due to its capability to detect infrared light, ESO’s Very Large Telescope can peer through the dust surrounding the centre of the Milky Way. 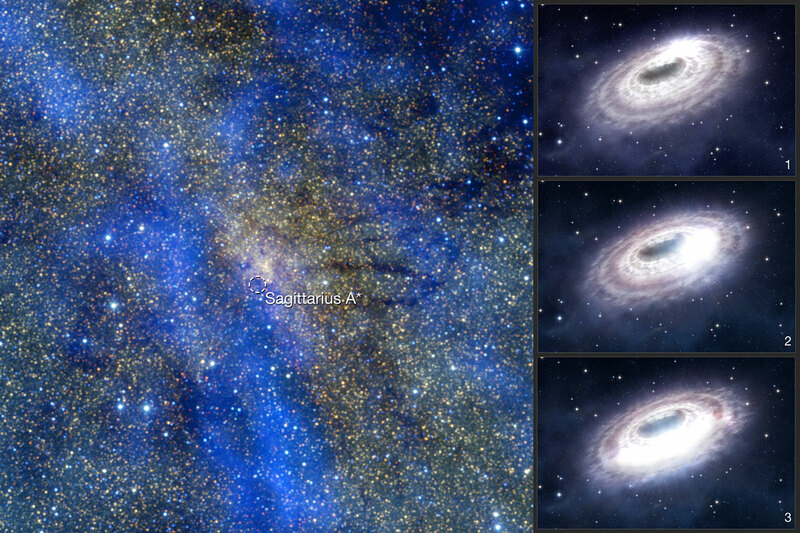 It’s hard to study the centre of the Milky Way, because of the many intervening dust clouds. But radio telescopes have revealed a compact source called Sagittarius A*, and infrared telescopes have tracked young, massive stars whirling frantically around it. Today, there’s little doubt that Sagittarius A* is a supermassive black hole, weighing in at some 4 million solar masses. Flares at X-ray and submillimetre wavelengths are probably outbursts caused by gas clouds, asteroid-like bodies or possibly even entire stars falling into the black hole. 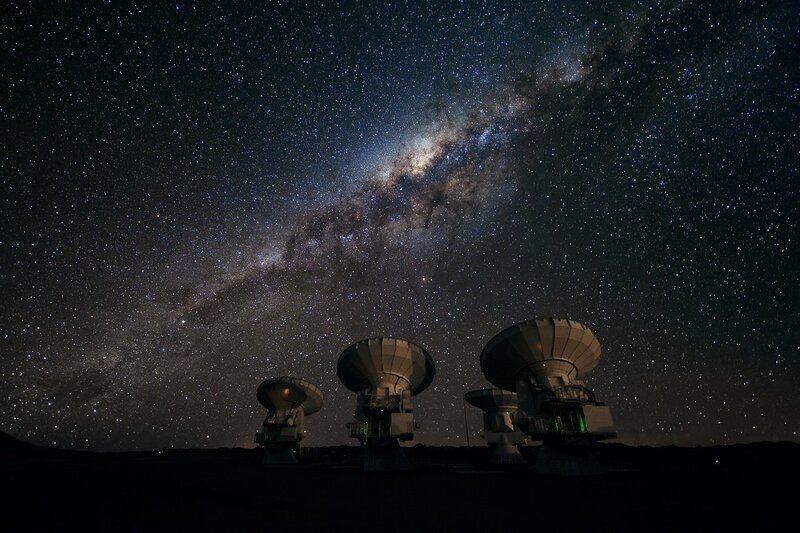 Many eyes, one target: Millimetre-wave radio telescopes like ALMA may one day succeed in imaging the shadow of the supermassive black hole in the galactic centre. Burps: Orbiting blobs of hot gas in the accretion disc around the Milky Way’s central black hole (right; artist’s impression) may cause the variability seen in the submillimetre waves from Sagittarius A* (left). 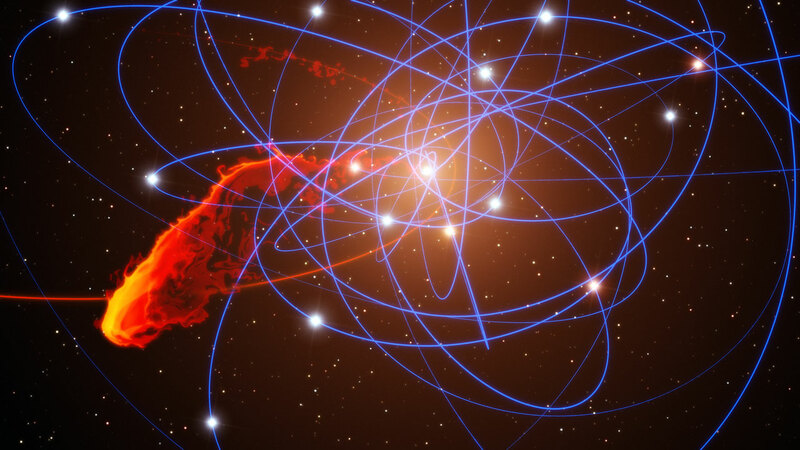 Here we’re safe, but in the centre of our Milky Way galaxy lurks a giant black hole. Every now and then, such a black hole swallows up a star or a cloud of gas. Sometimes it even burps.